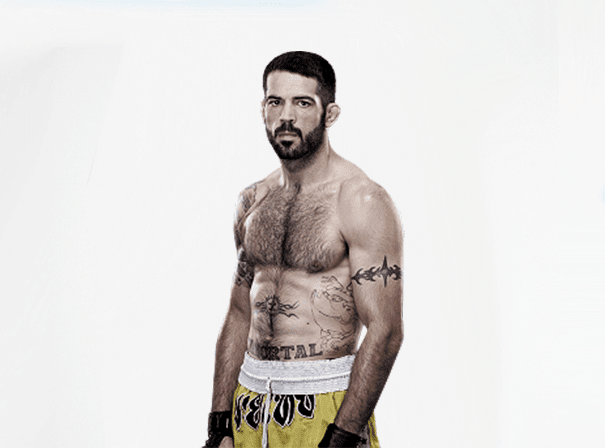 Hailing from Jamestown, Ohio, Matt Brown’s rise to UFC stardom reads like the plot of a Hollywood film. Battling with drug and alcohol issues in his early 20s, the severity of which earned him his nickname, “The Immortal”, Brown’s life was transformed with a snap decision to enter an amateur fight. With perseverance and dedication, Brown turned his life around, becoming #15 ranked UFC Welterweight fighter and inspiring millions of young UFC viewers worldwide. Brown began his lengthy professional career in 2004 and achieved his first major victory in 2007 after defeating Douglas Lima for the ISCF East Coast Welterweight Championship. Spurred on by this triumph, Brown entered trials for The Ultimate Fighter, marking the start of a fruitful relationship with UFC. Following a solid debut performance that saw him easily take down Matt Arroyo, Brown has secured 21 wins in the championship to date, including 13 knock-outs. Alongside three Fight of the Night, two Perfomance of the Night and one Knockout of the Night bonus awards for his UFC bouts, Brown was voted the Best Knockout of 2017 by readers of MMA news website Bloody Elbow. Finding a way to fuse his fighting career with a love for heavy metal, Brown collaborated with Jamey Jasta of Hatebreed to write the aptly-titled 2015 song “The Immortal”, which would become his entrance song. A family man with a wife and two twin sons, Brown’s life is a tale of tremendous recovery and achievement. His remarkable life experiences, coupled with his commitment to athletic excellence, make him one of the most fascinating figures in MMA today.